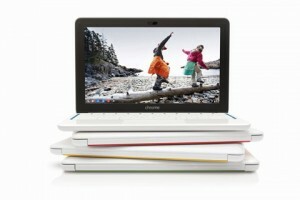 Chromebooks are a powerful and affordable computing solution for schools. Organizations which have already made the jump to the Google Apps for Education suite will appreciate the seamless integration of the Chromebook into their existing infrastructure and the ease with which they can manage these devices through their Google Apps dashboard. John Sowash was a recipient of one of the very first Chromebook Beta devices which he helped test and evaluate for Google. John has helped schools around the country integrate Chromebooks into their technology plan. Through a unique partnership, Sowash Ventures is able to assist schools and districts in procuring Chromebooks as well as assisting in the planning and technical implementation process. Contact us to share your needs and dreams and we will develop an affordable and effective solution to get you up and running.